So, when we last met, I had told you that my bloodlines had finally been established. Well, my goodness! Once you start digging into things you find ALL KINDS of surprises! Good AND bad and ALL VERY ENTERTAINING! SO entertaining, in fact, that Michael started digging into HIS family tree and you know what that carpetbagger from California has done? Got himself not one, not two, not three, but FOUR TICKETS TO THE MAYFLOWER. 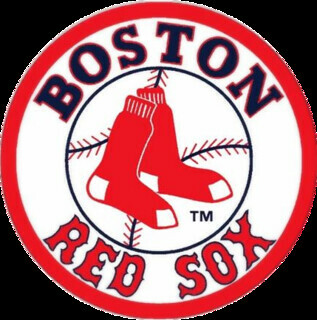 That boy’s more Massachusetts THAN I AM! LOL! I cannot even tell you what this all means to me. Just as a mother. For my girls. For their heritage, their legacy. I’m going to do all the paperwork for Mike so he’s registered at the General Society for Mayflower Descendants (which requires the direct relationship I just described) and part of the membership is that they keep your records in perpetuity, so my girls will have a kind of permanence to hand down generation after generation long after we have gone, in a way I scarcely could have imagined just two months ago. My mother and father are my real family. But I have blood & soil I can trace now, and that satisfies a need in me I didn’t even know I had. I cannot tell you what it means to me to see the occupations, tendencies, travels of my forebears. A lot of it makes sense, God bless them. LOL. “That explains a lot!” has been a phrase uttered around my house with a sarcastic chuckle more than once these last few weeks! I promise to fill in more once we’ve got things nailed down better, but for now just know… Gosh… THAT EXPLAINS A LOT! LOL! Share the post " Ancestry Update!" It only took 53 years! LOTS to tell, and hoooooooo-boy! Is it a TALE! But suffice it to say the Megeath half of the equation, which just showed up in 23andMe a few weeks ago (I knew about Peg years & years ago), produced a HALF-SISTER which shocked the HELL out of BOTH of us and happily, we get on just fine! NEITHER of us having ever had a sister before, this is pretty weird, and we’re both treating it like fire, with healthy respect and the full knowledge that this can either be a source of warmth or a terrible conflagration, so we’re being very slow and cautious and thoughtful about all of this, with no expectations whatsoever, just patience to let it play out organically, but my goodness… what a few weeks! I told Dad all about it and he was blown away! We had a lot of laughs about it, mostly because I was calling him Studly McStudFace… I mean… You gotta laugh about this. Wait until you hear Megeath & his bride lived 2 miles away from my parents for 4 years… Oh yeah. And how my half-sister and I were both baptized at the same church and they all probably went to church together. This thing is a bad after school movie, honest-to-God! I promise to fill in later. For now, however, know that it appears he never knew about me, and the Megeaths and the Mortons never met, so far as we know, but good grief! Share the post "Birth Parents FOUND"
If I were you, I’d keep it handy, either via bookmark, or icon or on your desktop, or something, so as the story unfolds you can reference it. Lotta moving parts in this, so it can get hard to keep track of who’s who.  NOTE: Clicking the image will take you to a page where you can click on it again and really zoom in. 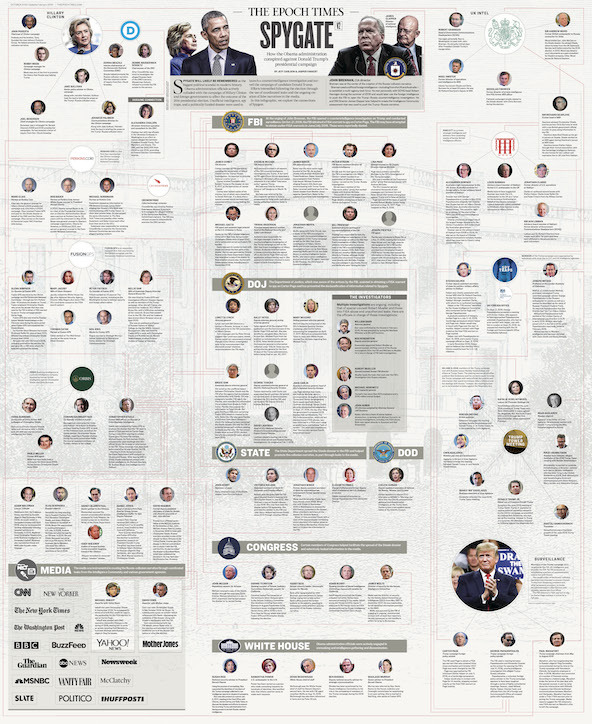 Share the post "‍♂️ #SpyGate Part IV ~ Jeff Carlson’s Infographic"
UPDATE, Tuesday, September 18, 2018: My bad. My VERY, VERY bad. BAD Annie! How could I NOT include THE TIMELINE! Doug Ross has compiled, and continually updates, THE MOST COMPREHENSIVE TIMELINE AVAILABLE. I can’t tell you how many times I’ve referred to it to overlay this fact or that and gained INVALUABLE insight. ANY decent researcher must ALWAYS keep one, or have access to one, and THIS IS IT. Most of my reading on the biggest scandal in American history starts on Twitter. Why? Because Twitter knows things before the legacy media does. Often it’s the only place that knows it because the legacy media is complicit in this scandal and wants very much to ignore it. And once Twitter knows it, and links to stories on it, the story advances forward. But, back to my thumbnail: they spied. This is not arguable. If you don’t or won’t believe it is, I can’t help you. Facts are stubborn things. It happened. Period. Full stop. Like the sun rises in the east and sets in the west, and there’s gravity on earth, it happened. You cannot argue it. Well, you can, but you’d be an idiot. 2. Follow @Techno_Fog for LEGAL DOCUMENTS. There’s a person who calls himself “Techno Fog” and has his location marked as Trump Tower. NO IDEA who s/he is but s/he must be a lawyer with a subscription to Pacer (court generated paperwork). I presume this because s/he has court transcripts & analysis up on Twitter lickety-split. So if you’re wondering what happened in court that day with something Trump-Russia related, Techno Fog is your go-to guy/gal. 3. Follow @jsolomonReports for DEEP INTELLIGENCE COMMUNITY SOURCES. John Solomon. This guy has has sources, deep ones, and understands the whooooole picture, micro and macro. For some inexplicable reason, The Hill, where he writes, puts him under “Opinion” and does not make his by-line clickable. (I know, I know… It’s very explainable. Just not to normals like us…) Anyway, this guy is doing absolutely groundbreaking reporting on this story and they bury him. Whatever. He’s essential reading. He doesn’t tweet much, if at all, but whenever he posts a story, you’ll see it on his Twitter feed, so follow him. 4. Follow @themarketswork for EXCRUCIATINGLY DETAILED ANALYSIS. Jeff is a money guy. According to his own website “Jeff Carlson is a CFA® charterholder. He worked for 20 years as an analyst and portfolio manager in the High Yield Bond Market. He holds degrees in finance and economics.” As such, he is extremely detailed, methodical, logical, and… intuitive. He susses out conclusions he’s drawn from a series of facts and brings us along for the ride. IOW: He reads between the lines and shows us what the invisible ink says. He’s very, very smart. His tweets are always informative and his articles always deeply sourced, with tons of links, and usually require two or three reads to absorb it all. He doesn’t tweet often, nor does he post often, but when he does, it’s always, always worth it. He and “Sundance” at The Conservative Treehouse (The Last Refuge) seem to have formed an alliance of respect for each other’s work, and that just makes me respect the both of them even more. I wrote about “Sundance” in my first #SpyGate post of links & sources, and you can link to him on Twitter here. 5. Follow @SaraCarterDC Sarah & Solomon are sort of the Frick & Frack of DEEP STATE SOURCES. They often appear on Hannity together. When he’s not interrupting them they impart unique and excellent information. They are usually first with new Strzok & Page texts, news of pending document releases, dramatic turns in the story on the whole. They are both absolutely essential. Parenthetically, Sara has worked as a foreign correspondent in some very dangerous areas, Syria for example. I have profound respect for her courage and careful reporting. You can find her personal home page where she publishes her work here. She’s a Fox News Contributor but does not seem to publish there, just does analysis. Must be part of her deal. Whatever. She’s a gem. 6. Follow @paulsperry_ Paul Sperry writes for the New York Post & sometimes for RealClear Investigations. His Twitter feed has a habit of dropping SpyGate MOABS then… we have to wait for the story. Sometimes days. It’s absolutely maddening! But in the best possible way. Anyway, he seems to have a few very good sources on what’s going on. He doesn’t tweet or post often, but when he does, it’s because he has something new and very, very important to advance the story forward. 7.Follow @LeeSmithDC Lee Smith is someone new to me. I’d never heard of him prior to this whole mess. What a pity. He’s an excellent reporter/analyst. Smith is sorta like Jeff at The MarketsWork in that he has a way of reading between the lines and noticing what’s not there. So much of the best analysis in the Obama/post-Obama eras is exactly that, and it’s a very particularized talent. For instance, in his latest piece he lays out, as Dan Bongino perfectly describes it “a devastating indictment of the media’s significant role in the plot to take down Donald Trump.” Understand? They weren’t passive observers in all this, just taking information from their sources and printing it. They were active collaborators in the effort to subvert then remove a duly elected president of the United States. They knew they were lying. They knew it. How do we know? Because as Jeff at the MarketsWork ably deduced, (using his talents to suss out things not immediately evident) the media has had the full, unredacted Carter Page FISA since last spring, the spring of 2017. That’s right. The media has it, has had it, for over a year… and has not published it. Now why would they do that? What reporter worth his salt would hold that back? It’s like the holy grail of the congressional investigations, at least, and the whole Trump-Russia investigation writ-large. Answer? Because they’re not reporters. They’re activists, propagandists. There can be no other explanation. Repeat: there can be no other explanation. You can find him at RealClearInvestigations and at The Tablet. 8.Follow @ProfMJCleveland The Federalist’s Margot Cleveland is my footnote lady. You want deep in the weeds? Like, there’s-not-enough-Benadryl-in-the-world-to-save-you-deep-in-the-weeds? Margot’s your gal. When you read her bio at the The Federalist you’ll understand why I’m so impressed with her. When you read her writing, you’ll be even more impressed. Girl’s got game. She doesn’t publish often, but when she does, boy howdy – be ready to fire up the neurons. You can find her writing here. 9. Fox’s Catherine Herridge. Catherine Herridge does not have a Twitter account. She’s got to be the only reporter alive without one, and in a way, it’s admirable! She has deeeeeep sources in the intelligence community, both the intelligence officials and the congressmen who oversee them. It’s just not possible to have more respect for a reporter than I have for Catherine. She’s rock solid, unflappable, essential. You can find her latest articles for Fox here. 10. Fox’s Russia coverage can be found here. They have a page dedicated to the “Russia Investigation” and this is it. Updates a few times a day, typically. Less so on the weekend. In my post #SpyGate ‍♂️ Primer / Cliff Notes, Part II I referred you to Fox’s Gregg Jarrett and The Federalist’s Mollie Hemingway. You can follow Jarrett on Twitter here and Mollie here. In my post #SpyGate ‍♂️ Primer / Cliff Notes (Part I) I referred you to The Last Refuge and Dan Bongino. You can follow The Last Refuge on Twitter here and Bongino here. THAT’S IT! Strap in! It’s going to be a bumpy ride! Share the post "‍♂️ #SpyGate Part III ~ THE LIST: Essential Sources & Reading"